Dr. Kinslow is a 1979 graduate of Auburn University where he received his degree in Veterinary Medicine. 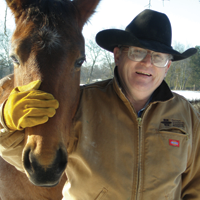 For 33 years he has been serving the Middle Tennessee area as a large and small animal practitioner. Dr. Kinslow may be his professional title, but many refer to him as, “Doc.” Born and raised in Carthage, Tennessee on his family farm he became responsibility at a young age for the care of the family’s dairy and beef cattle, horses, and a large tobacco crop. Today, Dr. Kinslow still happily raises 150 head of black beef cattle and awarding winning, beautiful roan quarter horses on his Lost Creek Cattle Company farms located in Lebanon and Carthage. Dr. Kinslow has been married to his wife, Paula for 36 years and has 3 children and 4 grandchildren. Since 1990, Dr. Amy has proudly served her clients and the people who care for them. Having grown up on a working farm in Wilson County, animals have always been near and dear to her. 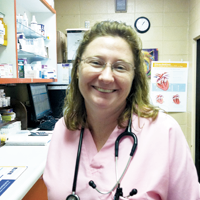 After graduating Watertown High School in 1989, Dr. Amy attended undergraduate school at Austin Peay State University, and began working for Kinslow Veterinary Clinic on weekends and in her spare time as a Veterinary Technician. After 3 years at Austin Peay and 4 years at University of Tennessee – Knoxville’s esteemed College of Veterinary Medicine, Dr. Amy earned her Doctorate in 1996, and immediately came to work full time at Kinslow Veterinary Clinic. Dr. Amy enjoys keeping up with the latest breakthroughs in Animal Science, and putting those to work for her clients. In her spare time, she lives on a farm in Wilson County with her husband, two young daughters, 5 dogs, 1 cat, and various other farm inhabitants. She enjoys gardening, playing with her children, and attending church. Dr. Matte Haley was born and raised in Nashville, Tennessee. He has dreamed of being a vet since childhood. Dr. Haley graduated from Father Ryan High School in 2003. He went on to receive a Bachelors of Animal Science from Middle Tennessee State University in 2006. While in college, he was a vet tech at a small animal clinic in Murfreesboro. He graduated vet school in 2013 from Tuskegee University in Alabama. After completing vet school, he and his wife, who is also a veterinarian moved back home to Tennessee. They are currently living on a small farm in Wilson county with their 6 dogs, 3 cats, and 2 snakes. Areas of interest include: companion animals, exotics (birds, reptiles. and small mammals), small ruminants, and pig medicine. Dr. Jordan Pack was born in southern Middle TN but grew up in Murfreesboro, Tennessee. He graduated from Siegel High School, where he played 4 years of baseball. After high school, he attended UT-Martin where he was the Vice President of the Cattleman’s Association. In 2013, he graduated from UT-Martin with a B.S. in Agriculture. After graduation, he married his high school sweetheart, April. She is a 3rd grade teacher. 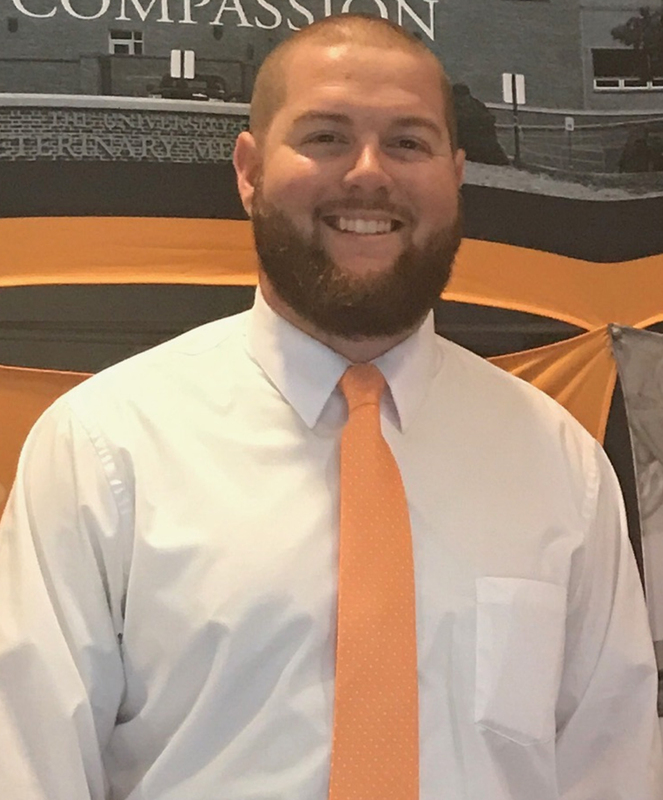 Jordan graduated from the University of Tennessee College of Veterinary Medicine in 2017. Jordan and April have two dogs, a blue-tick coonhound named Rudy and a black and tan coonhound named Sadie. His areas of interest include bovine, equine, camelids, small ruminants, and companion animals. Some outside interests of his include woodworking, hunting, fishing, Atlanta Braves baseball, and UT football.